A while ago i had made a subsection map of the Gorbals/Laurieston/Tradeston area from a similar period showing the concentration of bars. I wanted to do a similar diagram contrasting a larger area of Glasgow. 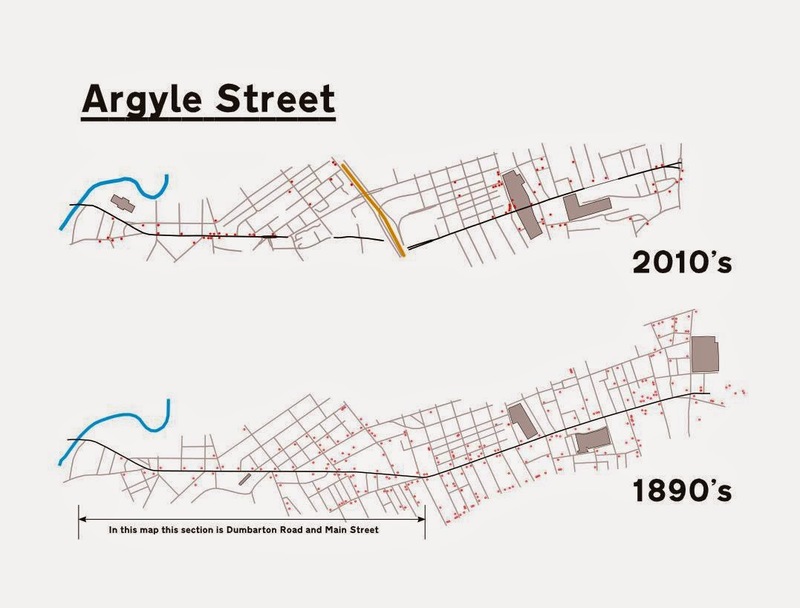 What would become Argyle street seemed like an appropriate choice. St Enoch in 1890's is a train station in the 2010's it is a shopping centre. 1890's marks are for public houses which i take as being distinct from restaurants and other forms of services but makes exact comparisons impossible. The riverside is very distinct without having to be explicitly drawn.